SU honors Irina Bokova, Director-General of the United Nations Educational, Scientific and Cultural Organization (UNESCO), with its President’s Medal for leadership and service Thursday, April 6. The presentation coincides with her appearance as part of the “One Person Can Make a Difference” lecture series, hosted by Salisbury University’s Bosserman Center for Conflict Resolution. Her talk, “Preventing Violent Extremism in the 21st Century: Fostering a New Generation of Global Citizens,” is 5 p.m. (please note new time) in the Patricia R. Guerrieri Academic Commons Assembly Hall. A reception follows on the hall’s balcony. 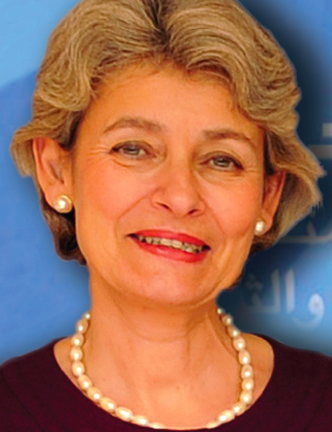 The first female and first southeastern European to head UNESCO, Bokova served two terms as a member of Bulgaria’s National Parliament. She also was deputy and interim minister of foreign affairs under Prime Minister Zhan Videnov. In addition, she served as Bulgaria’s ambassador to France and Monaco, and represented the nation in UNESCO and on the Organisation Internationale de la Francophonie. Through UNESCO, Bokova advocates for gender equality, improved education, preventing terrorism funding, enforcing the protection of intellectual property, and opposing racism and anti-Semitism. A graduate of Harvard University’s Executive Program in Leadership and Economic Development, she was elected to her current position in 2009. The Bosserman Center has a historic connection to UNESCO. Dr. Philip Bosserman, the center’s founder, was chosen as a youth delegate to the opening conference of UNESCO in 1948 by first U.S. UNESCO Commission Chair Milton Eisenhower. The event helped shape his future endeavors, including working with Dr. Albert Schweitzer in Africa, studying with the Rev. Dr. Martin Luther King at Boston University, and dedicating his life to scholarship and peace building. Go to event page. Tickets not granted online.